Mytilene, Agrilia Kratigou’s beach. 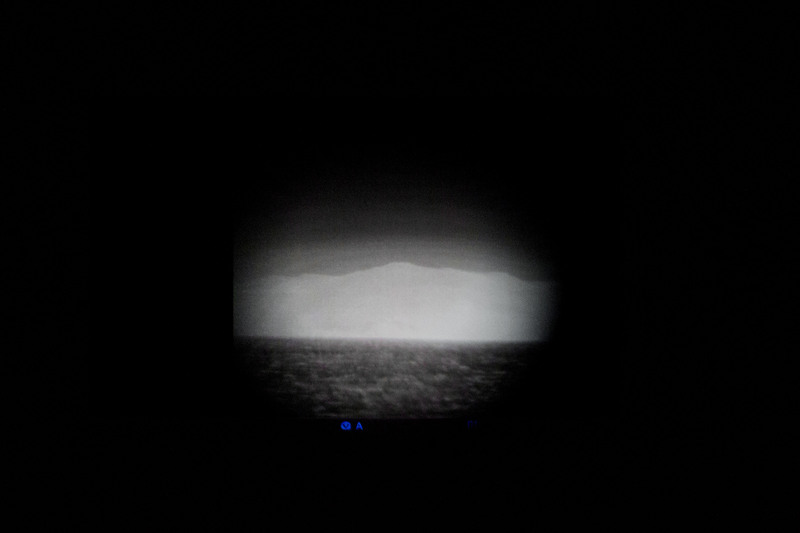 The photograph shows the thermal image of the coast of Turkey, near Cesme. Thermal devices are used for the patrol and the identification of refugee boats that arrive clandestinely from Turkey. Mytilene. 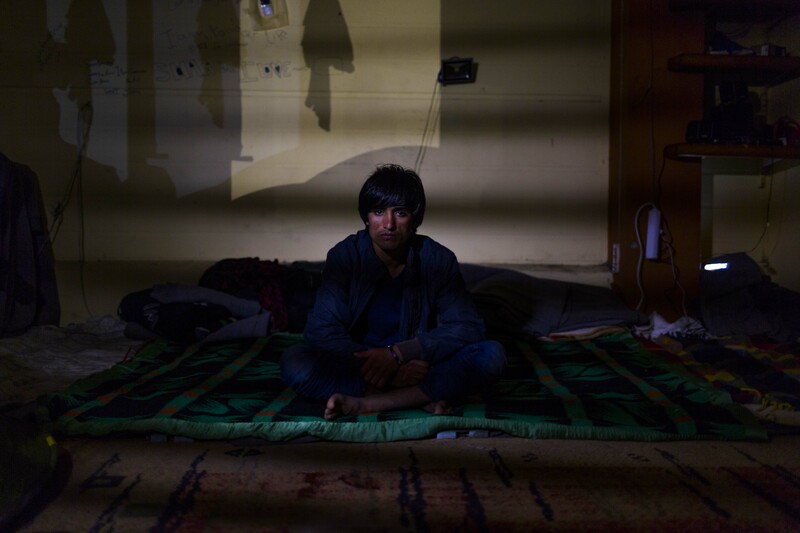 Tamin Fakti is a 19 years old Pakistan refugee. 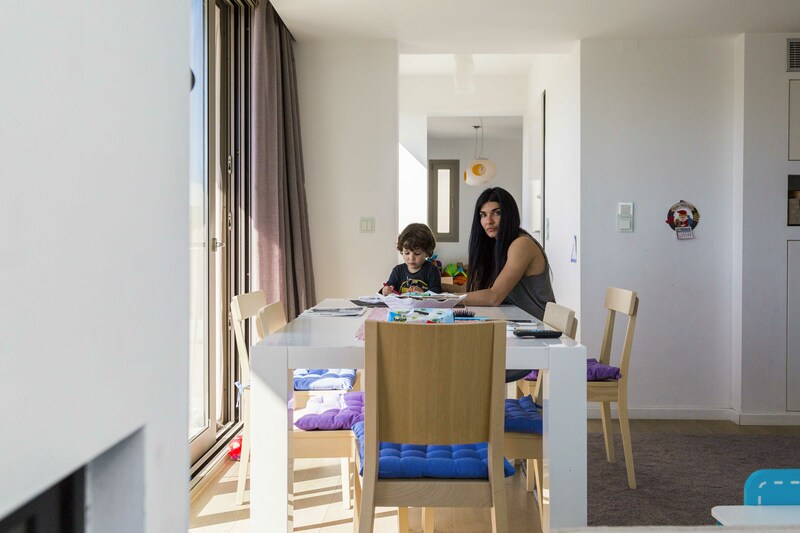 Many refuges escape from official hotspots to live as squatters inside destroyed building and in crumbling palaces. Mithymna, Lesbos Island, Greece. 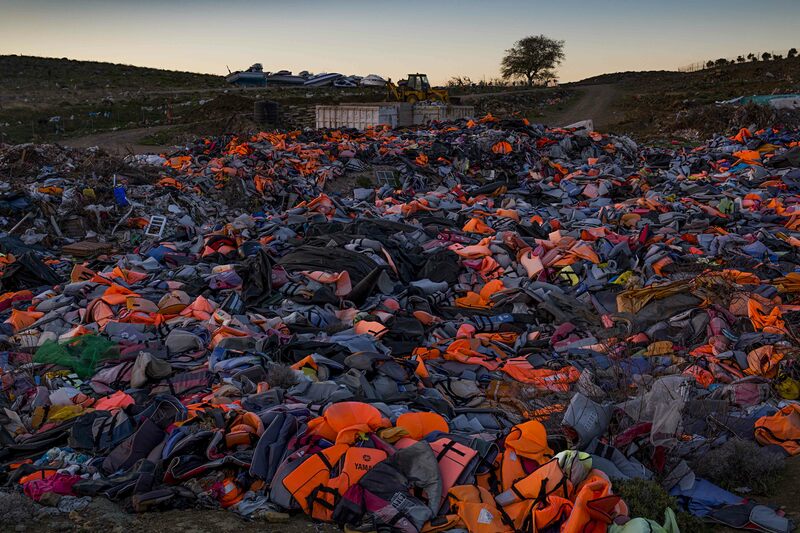 Outside the urban areas there is a dump containing thousands of life jackets and the wrecks of the boats used by refugees. Eftalou, Lesbos. Manuel is the owner of the Taverna Eftalou. 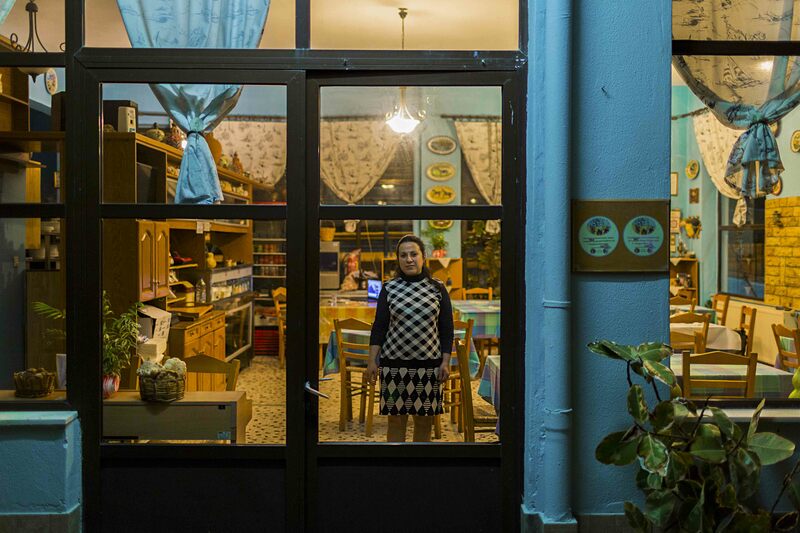 «Every morning I look outside the window the beach before my restaurant and I hope not to see boats of migrants». 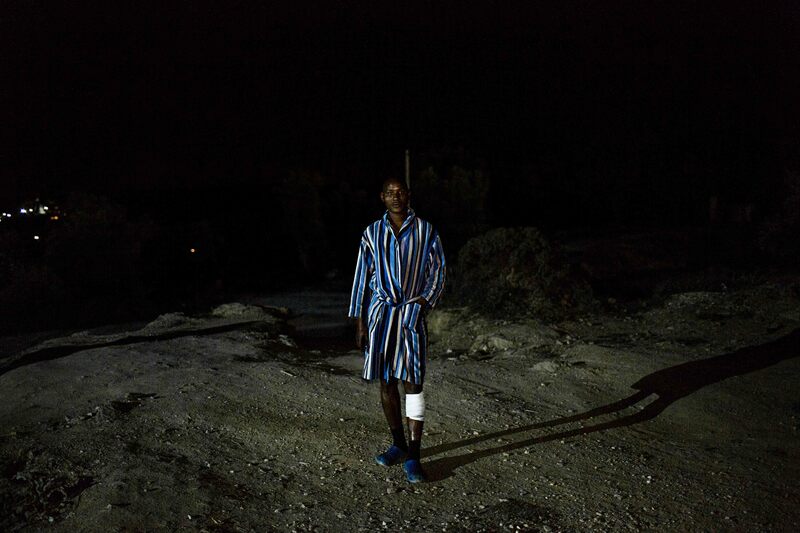 Many traders and local people have called the emergency of the arrivals with the term “invasion”, a word that best tells the interstitial discomfort and the trauma they have experienced. Mytilene, Lesbos. 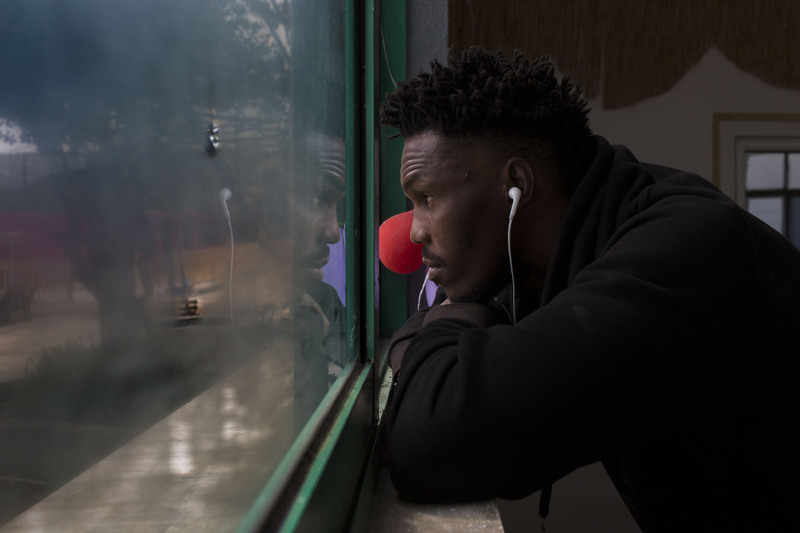 Kenan, 27 years old Senegalese refuge, looks outside the window in the help centre of the Swiss Cross. «I hope to get a document as soon as possible, in order to go to Northern Europe and begin a new life». Lesbos, Moni Mirsinidiou. View of the coast. Mytilene. 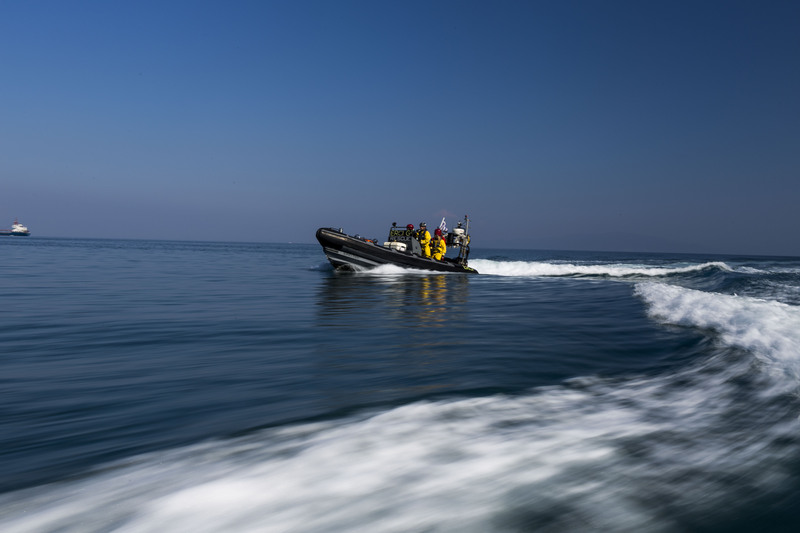 A rescue boat of Erci NGO during a patrol at sea. 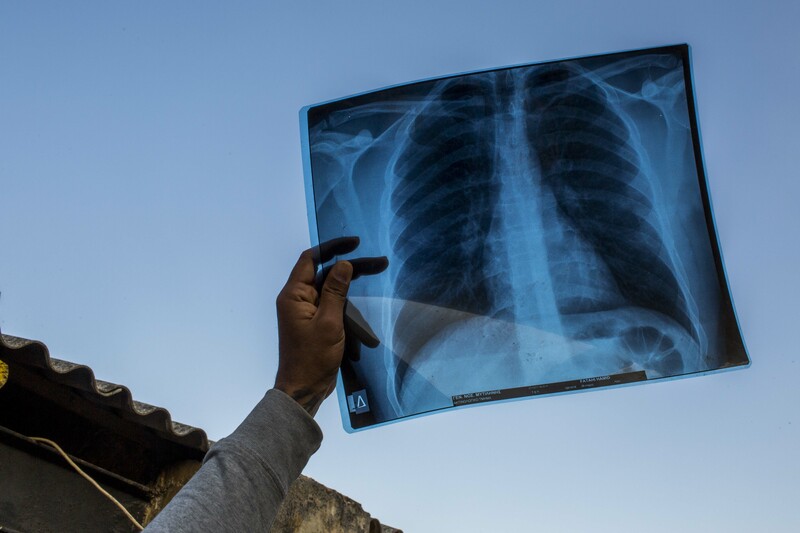 From 2015 many non-governmental organizations have received the mandate and the funds from Greece and the EU to help the incoming refugee boats. 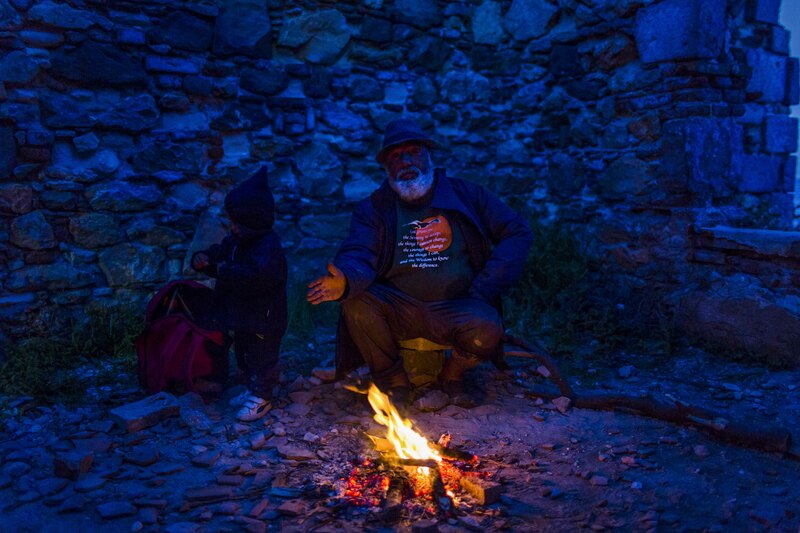 To date, hundreds of NGOs working throughout Greece are contending the areas of their operations. Port of Chios. 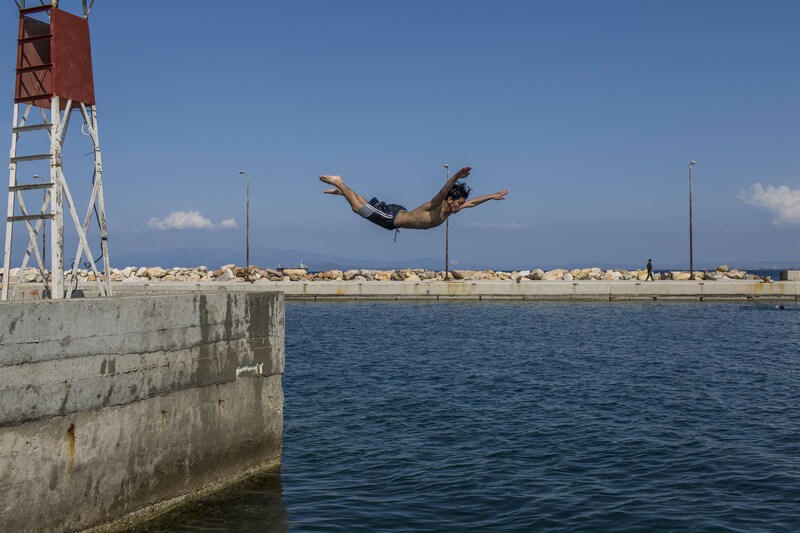 Read, 19 year old from Aleppo, dives from a pier. Lesbos, Eftalou’s beach. In 2016 along this beach many bodies of refugees died during the travel were found. It is now a deserted beach. 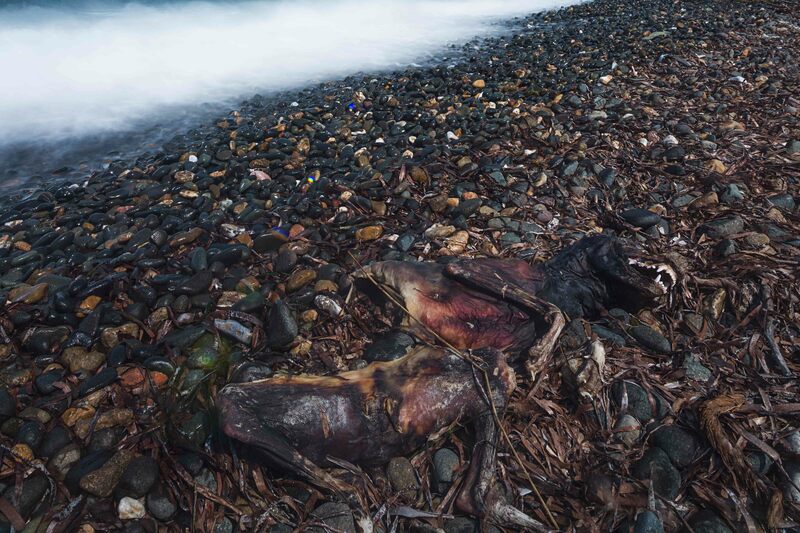 During a walk in search of the marks of the migration left on the coastal landscape, I ran into this carcass of a dog, who died several months before and was left to rot. Athens, Pedion Areos’ park. A homosexual Arab refugee performs his body to attract customers and to prostitution for a few Euros. Mytilene, Agrilia Kratigou’s beach. A refugee bathing. «I envy you! The water is beautiful and crystalline. Isn’t it cold?» I ask him, during the photoshoot. «Yes. But I have nothing else to do». We laugh together. «What is your name», I ask him. He replies: «That’s not important». Mytilene. Movida on Saturday evening in a nightclub on the city along the sea. Chios, Chios Island. The refugee camp “Souda” is located inside the archaeological site of the Castle od Chios, built in during the Byzantine era around the 9th century a.C. This installation has damaged the local economy, which lived on tourism. Chios, Agios’ family house. 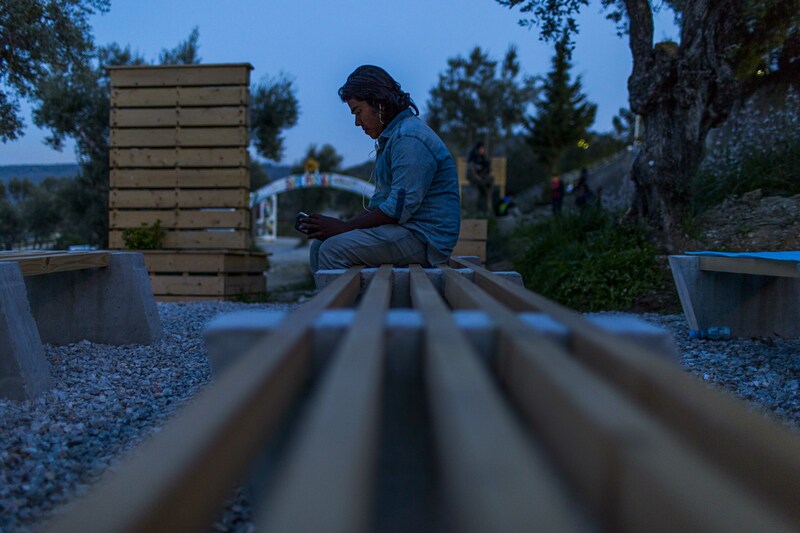 Nanà helps her son during homework: «Until two years ago, here in Chios, everybody slept with the open door. Nothing happened because we all know each other. Now everyone has an alarm system, home insurance and property because we are afraid of what we see and what we cannot control. 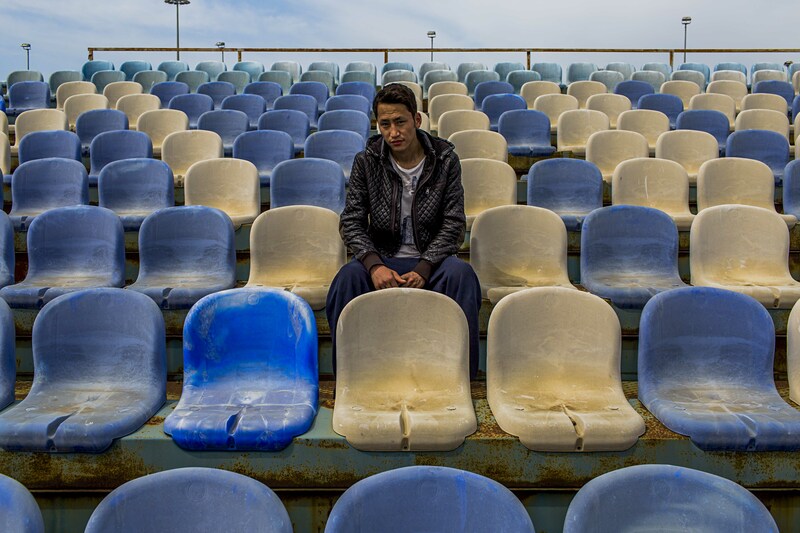 In recent months we have had theft and attacks by refugees who do not escape from any war. Chios was a beautiful place to live and do the holidays. This game between Turkey and Europe has transformed our islands in a buffer-islands». Eftalou, Molovos. Eric Kempson is a sculpture that works in support to refugees. 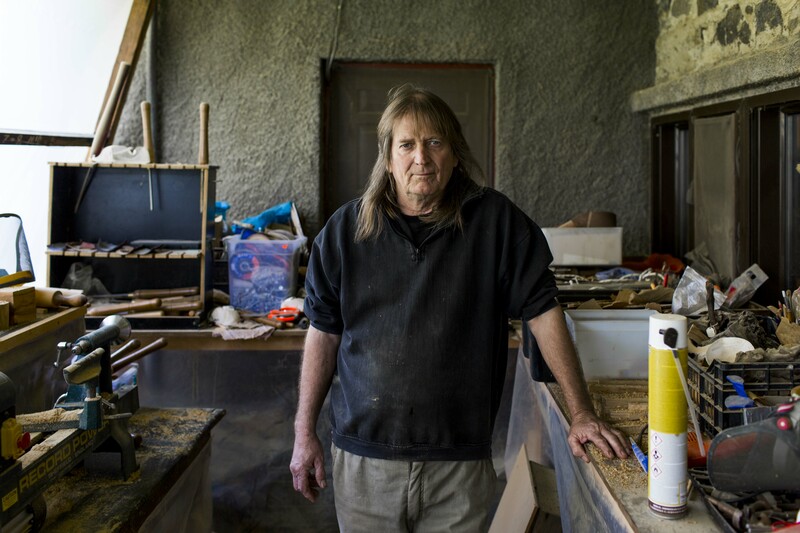 In 2015 he founded with his wife Philippa “Ellenic Workshop”, a factory for volunteers who want to offer help to refugees of Lesbos, outside institutional circuits and the NGO domain. 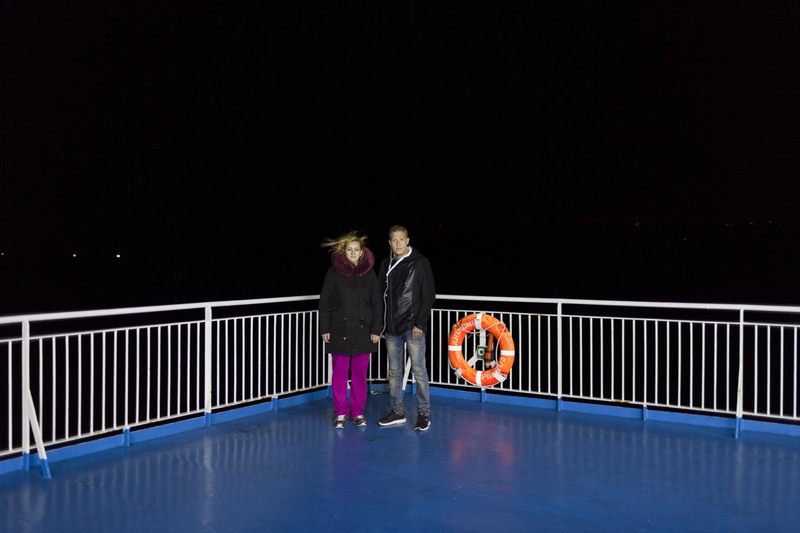 Aegean Sea, on the ferry of Ellenic Seaways. Ratina (31 years) and Zouttir (26 years) from Algeria move from Lesbos to Chios. «If your girlfriend or your wife is pregnant you are entitled to better assistance and not go in refugee camps. They provide you a hotel or a house». 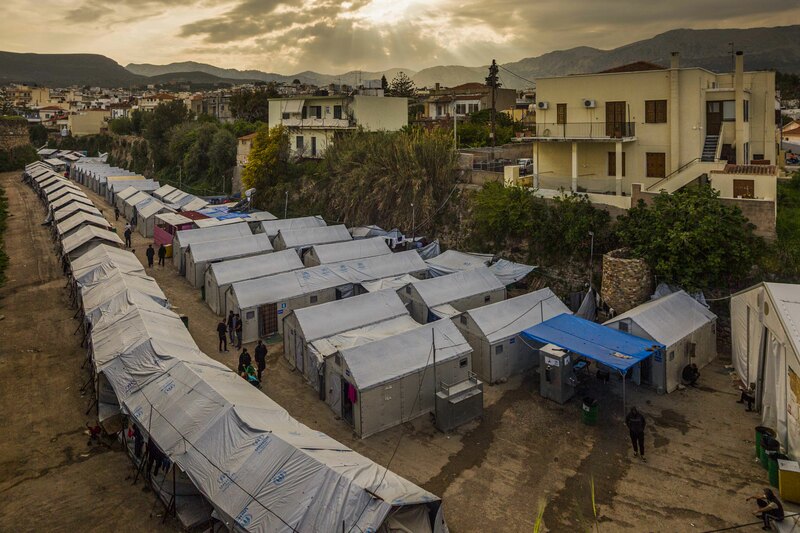 Mytilene, near the refugee camp of Moria. 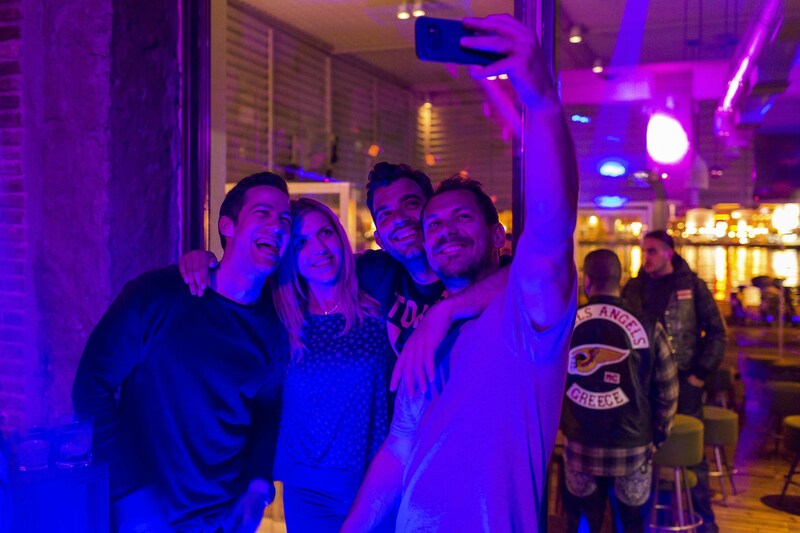 Eirene F. is the owner of a small restaurant: «I’ve never had trouble to fulfil my restaurant. We are a family, we are happy with few things. Today, however, I turn on the fireplace and prepare the coals to cook the fish only when a person enters the room». Port of Chios. 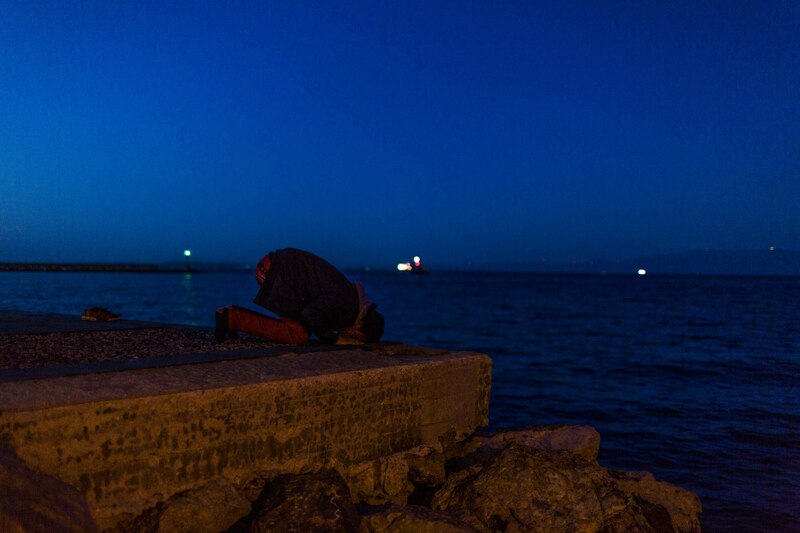 Falah, a 26 year Pakistani refugee, pray on the harbour. In the background the Turkish coast. Mytilene. 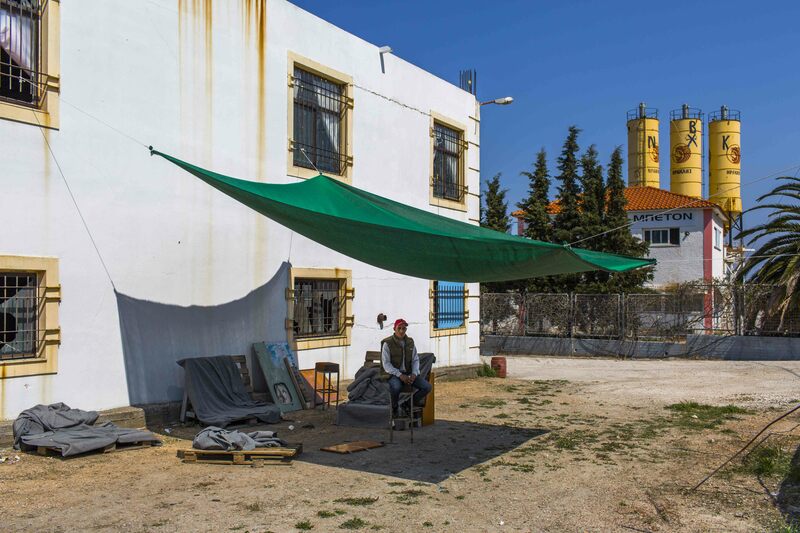 Lutfi, 21-year old from Algeria, lives as squatter on the outskirt of the city. Mytilene. 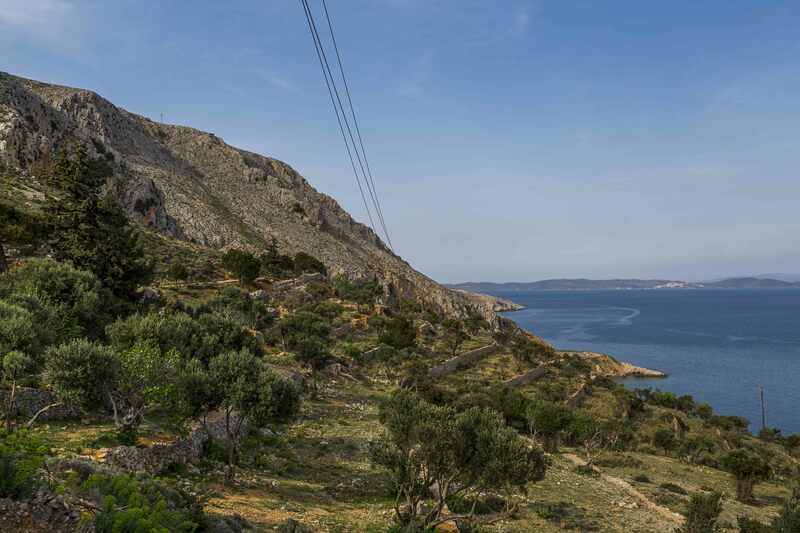 The Agrilia Kratigou’s beach is a strategic place to patrol the territory, from which you can monitor the maritime border and the Turkish coast. 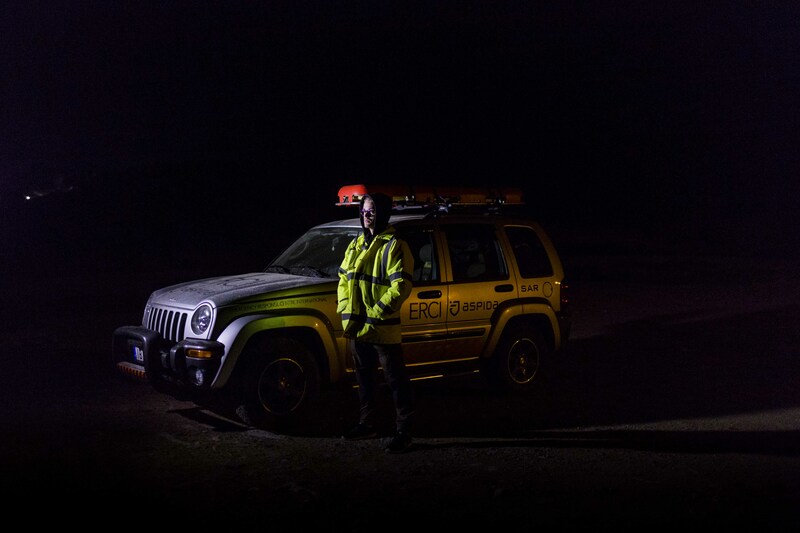 Erik, a young volunteer from Stockholm, are patrolling the area during the night. Mytilene. The squatters live in illegal conditions. A lookout system checks the buildings and inform the whole community when the police is going to break in the occupied areas. 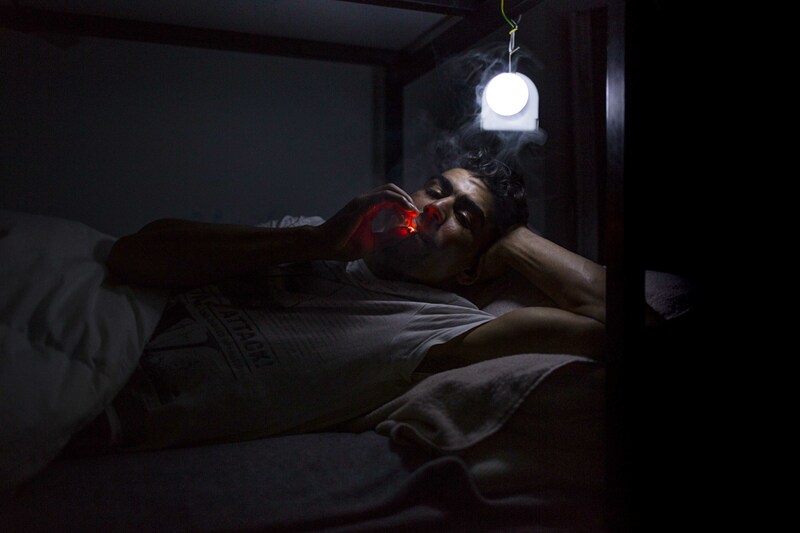 In this photograph, Faruk, a 24 years refugee from Syria, covers his daily shift. 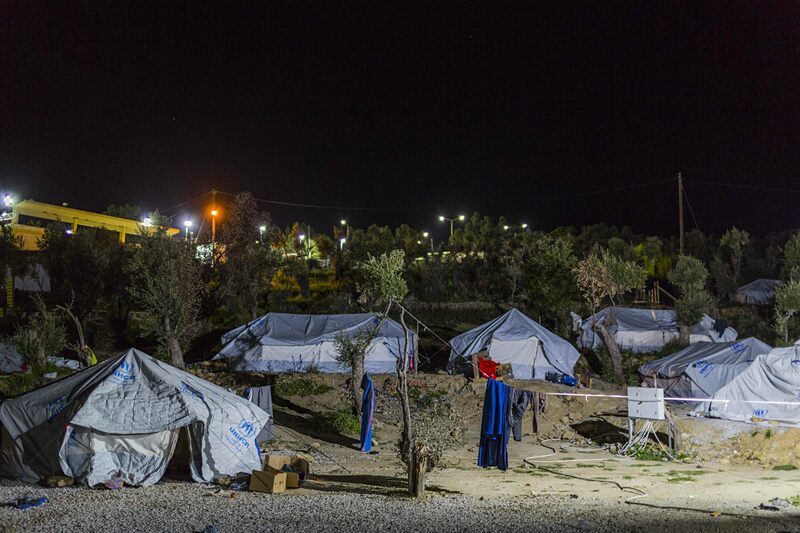 Moria refugees camp. 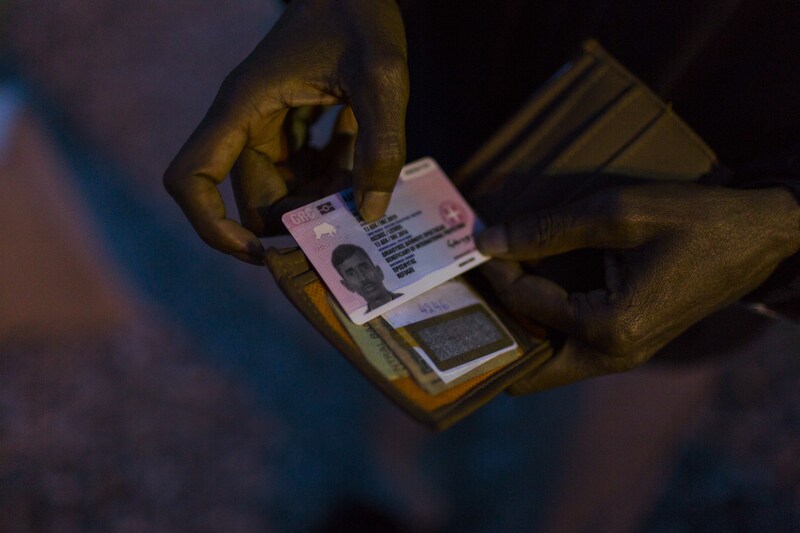 Faktur, 38 years old, has a document that certifies his status as refugees. There are few to have one. «I do not want to go away from here. What will I do outside here? I will be alone, and here I have all my friends». Chios, Orthodox cemetery of Agia Markella. 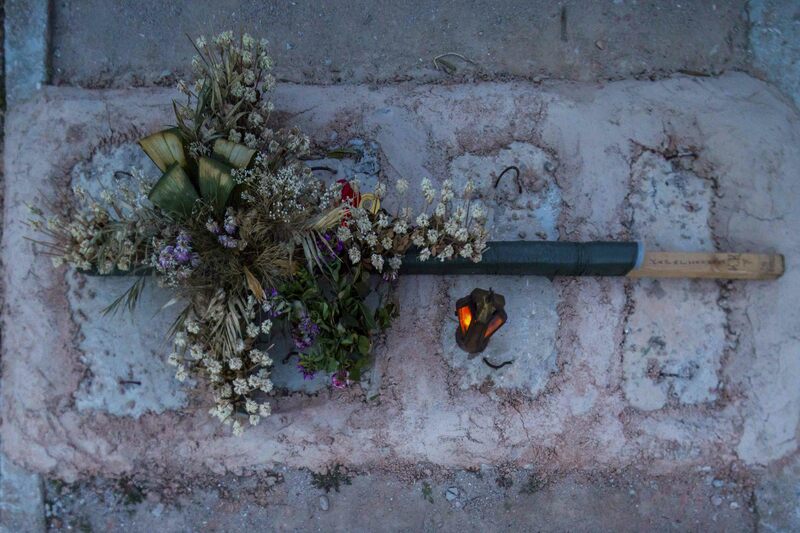 The tomb of an anonymous refugee found dead in the bay below.